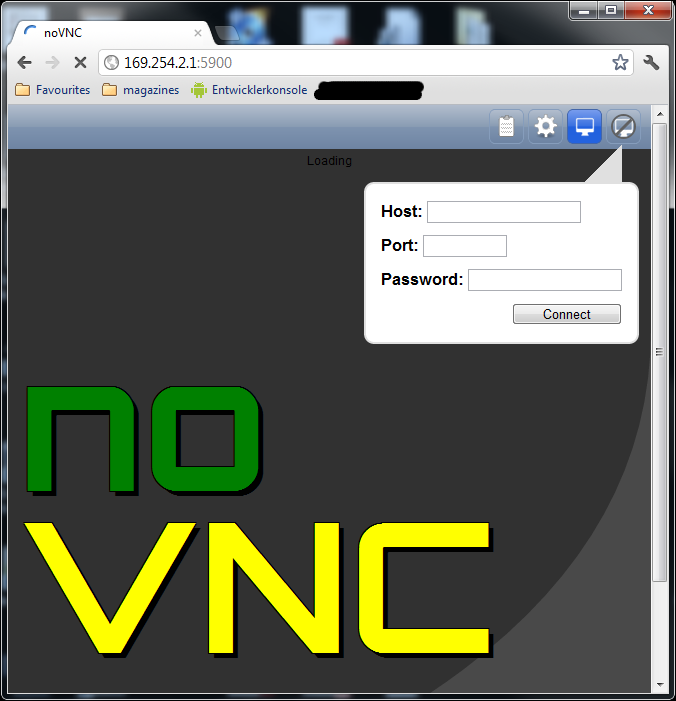 … or how to visually web-control your mobile and embedded devices, by using new HTML5 based VNC viewers. In the last weeks i found a new, extremely exiting way to simplify the remote control of embedded and mobile devices by using a new HTML5 based VNC viewer (e.g. noVNC) which completely replaces a traditional desktop VNC Viewer software. 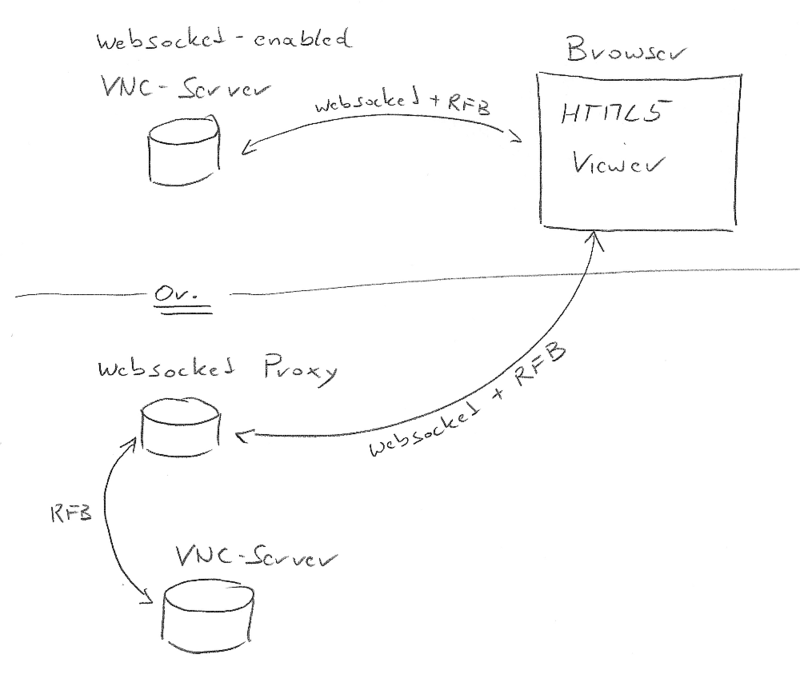 The system architecture is quite simple as the HTML5 based VNC viewer software is able to run within a WebBrowser without any additional native plugins or dlls, exept HTML5 support. As HTML5 is surely getting (or is already) the next big thing within Web technology, all popular browsers are already supporting parts of the HTML5 standard. The support and the performance of the HTML5 engines will definitely increase within the year 2012. 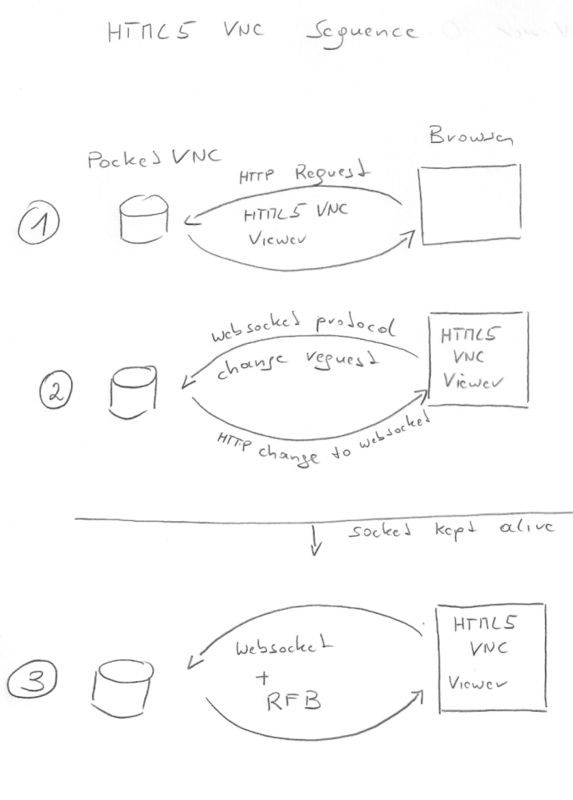 But even the actual support for HTML5 seems to be more than enough to enable a quick, stylable and easy to use Web-based VNC viewer software. In my example and system architecture the noVNC viewer is directly delivered by my Windows CE based VNC server in order to further simplify the setup of such a system, without the need for an additional WebServer running on the embedded device. The users do not need any software at all to visually control an embedded or mobile device, exept a WebBrowser that supports HTML5. 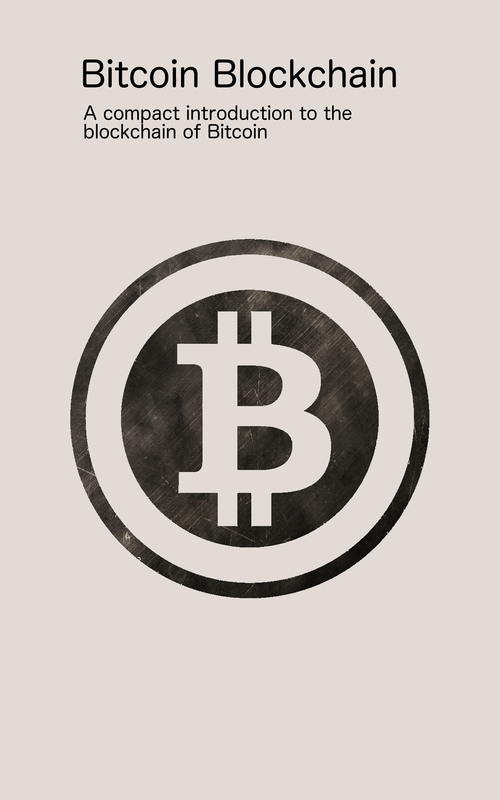 If the address of the device is publicly available the users can visually control the device from any browser worldwide. The HTML5 based VNC viewer software can be styled and branded with standard HTML and StyleSheets (css). The HTML5 based VNC viewer software can be easily embedded into any company intranet/extranet Webportal or product page.